The selected candidate will be responsible for managing all the activities related to order collection, sourcing, pricing, negation, order placement, order follow up from sampling to shipment and proceed realization. Responsible to ensure the target basis order collection full shipment and make full payment for the order collected by the selected candidate on time. Capable to sourcing fabric, trims and accessories from home and abroad and ensure that fabric and accessories are available in the factory within the time frame. To follow-up with planning/production/commercial team and ensure shipment in time. Ensure that the planning manager determine fix delivery schedule (date and sequence of implementing his order in the lines. Supervise the merchandiser team about order undertakes all formalities (sending shipping sample etc) and update buyers. Identifying new customer opportunities and should be capable of new business development and promotion with the new buyer. Must have excellent knowledge and experience in knit garments. Should be able to negotiate and handle client orders independently. Sound knowledge and experience in preparing perfect costing for buyer and capable to handle product development and sampling. Any other task provided by the management. Communicate with buyer for new inquiry, development and order projection. Age 37 to 50 years. Sound knowledge about fabric & accessories sourcing. Strong command in verbal and written English. Salary Negotiable, As per Company rules. 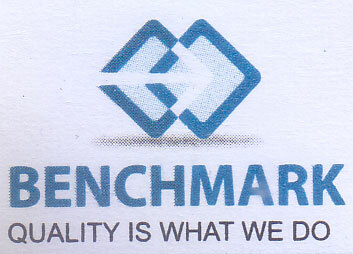 Application addressed to - Office / Factory : Khoaznagar, Azimpara, Karnafully, Chittagong. Head Office : 1 No, Kapashgola Road, Chowkbazar, Chittagong. Name of the post applied for must need to mention in the subject of e-mail.